Burn injury claims are some of the most serious personal injury actions in California. Such was the case in a recent lawsuit involving the severe burning of a minor in a public park has become a precedent setting decision after it was ruled that the defendants in the case, East Bay Regional Park District and Girl Scouts of Northern California, were liable for the injuries caused to 10 year old Fabio Hornischer’s hand and arm in a fire pit. On June 2, 2012, Fabio Hornischer received injuries when his hand and arm slipped into a fire pit that had not been completely snuffed out by the park authorities, even after they had duly inspected the area. Underneath a layer of ashes were several live embers that were still burning, thus causing second and third degree burn injuries to young Hornischer. 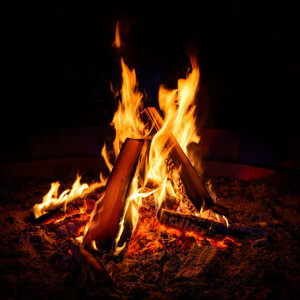 The fire pit had been utilized by a Girl Scouts group just prior to the incident, and had been improperly extinguished, thus giving the plaintiff grounds to file a wrongful injury suit. The Girl Scouts group claimed that it had done everything possible to extinguish the fire in the pit before leaving the area, while park authorities maintained that it was up to the boy’s parents to monitor his activities in order to keep him from playing too closely to the fire pit. At the resolution of the case, the young plaintiff and his representatives received a net settlement of over $2.1 million dollars to compensate him and his families for the medical expenses and other economic losses related to the accident. What was the legal standard for the liability against the Girl Scouts? Because the Girl Scouts are a private organization, they would be held to a general standard of negligence. California defines “negligence” as actions or inactions which show a, “want of ordinary care or skill in the management of his or her property or person.” (See California Civil Code 1714(a)). In this case, it is apparent that the Girl Scouts of America made some, significant contribution towards settlement of the claim. This would indicate that there was at least some evidence that they occupied the campsite prior to plaintiff and failed to fully extinguish a fire left in the fire pit. What Are The Legal Standards For A Dangerous Condition Of Property Lawsuit? The defendant who is named in the case must own or control the property on which the accident occurs. The property was in a dangerous state due to neglect or willful oversight on the part of the owner at the time the incident occurred. This neglect or oversight on the part of the owner set the stage for an incident that could have clearly been foreseen. Negligence or willful oversight on the part of persons employed by the property owner created the conditions under which the incident eventually occurred. Meanwhile, the property owner had enough prior notice of a potentially dangerous situation in order to have done something to prevent it before it actually occurred. As a result of one or more of the above conditions, the plaintiff in the case received severe injuries. The conditions created by the negligence of the property owner or their employees played a substantial role in causing the incident to occur. This is a much more difficult claim to prove than simple negligence. Government entities have immunities for many “discretionary” acts that may include maintenance of a public campground. In addition, it would have to be shown that an employee of the government entity engaged in “neglect or oversight” in failing to fully extinguish the embers in a pit meant to hold a campfire. As with almost any personal injury claim, there were also arguments to be made here by the defense that the plaintiff may have contributed at least in part to causing his own harm, in playing in and around a fire pit that may contain hot embers. The counter argument is obviously that the plaintiff had no reason to suspect the fire was still “live” if it just appeared to be dead coals. This verdict shows how complex a claim for negligence against both private and public parties can be. If you have been severely injured as the result of a dangerous property condition, especially one that was caused by negligence, the time to contact a qualified injury attorney is now. You deserve and require full compensation, not only for the injuries you have received, but also for the medical bills you have racked up, and for the wages you have lost due to time missed from work. If you have also had property, such as a car or boat, repossessed or received an eviction notice due to your inability to pay rent, you will also require due compensation to make up for these losses. The sooner you get in touch with a professional legal attorney, the sooner you can go to court in order to get the compensation you need to regain full control of your financial independence.